Joining Porto’s youth team at the age of eight in 2005, Neves rose the ranks before joining Padroense FC on loan during the 2012/13 campaign; as well as competing for Porto’s Under-17 side and as an unused substitute in B team fixtures last season. But it was the 2014/15 season that would set Neves’ name in effervescence. With the defensive midfield position now vacant after Fernando’s departure for Manchester City, ending his long service for the Dragões. With Nigerian up-and-comer Mikel ruled out through injury and Tomas Podstawki’s participation in the European Under-19 Championship; Neves seized his chance to impress the new man in the dugout, Julen Lopetegui. A string of fine performances in pre-season brought with it much acclaim; with the presentation match against AS Saint-Etienne the highlight as Lopetegui commented on “a strong mindset” post-match. 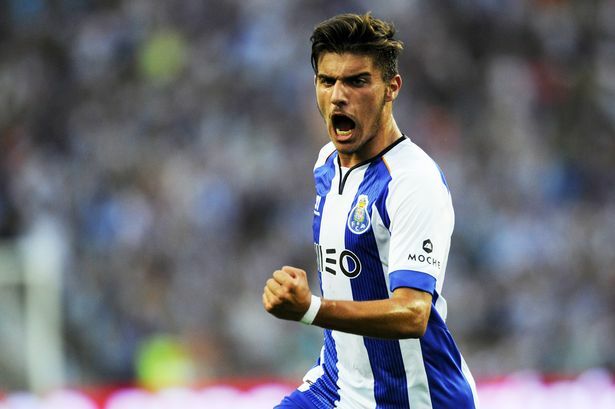 On that faithful night in Porto, the young Neves graced the pitch where his heroes had laid their claim for footballing immortality. At 11 minutes, a short Quaresma corner was played to Alex Sandro, whose cross was deflected into the path of the unmarked Rúben Neves. Steadying himself, his head over the ball, he took the shot in his stride, rifling a powerful long angled effort into the bottom corner and past Salin. The crowd was brought to their feet. Pure and utter joy was plastered on the face of a new hero as he slid onto his knees, letting out a cry of sheer elation. Neves would go on to make a total of 37 appearances that season (9 of those coming in Europe) during the 2014/15 season, as Real Madrid loanee Casemiro wrested the No. 6 spot from the Luso junior. The young starlet has similarly led an impressive youth career in the red of Portugal, with 50 appearances and 4 goals at the time of writing, earmarked by an impressive tournament at the 2014 UEFA European Under-17 Championship. 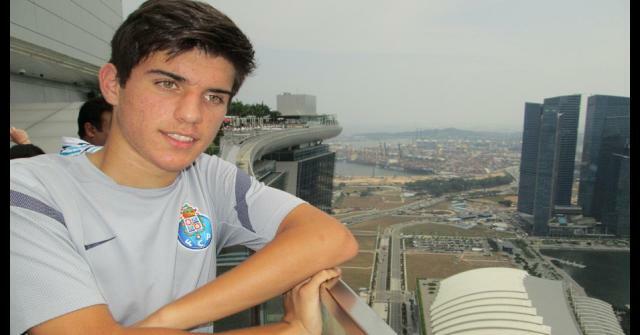 Neves also starred for Portugal’s U16 and U18 sides, and was more recently fast-tracked into the U21 side under Rui Jorge. He would be included in the former Seleção great’s squad for the UEFA European U21 Championship finals, scoring a goal 5-4 victory against The Netherlands in Paços de Ferreira to seal a 7-4 aggregate triumph and a ticket to the tournament in the Czech Republic. Touted as Portugal’s next Golden Generation, Neves and co. made it all the win to the final for only the second time in the nation’s history, thrashing a highly fancied German side 5-0 on the way, before falling to tournament underdogs Sweden on penalties. Portugal’s progression past a tricky group stage that included the likes of Sweden, Italy and England, meant qualification to the 2016 Rio Olympics. Although Neves had a slight role in Portugal’s successes, with his only appearance coming against the Three Lions in a five-minute cameo off the bench, the young Tripeiro had the likes of William Carvalho and Andre Gomes, albeit injured during the summer, both nearly five years his senior. There are astronomically high hopes for a boy barely out of diapers, but the plaudits are not undeserved. The opening goal of the 2014/15 Primeira Liga and man-of-the-match performance was no fluke, with impressive performances, the following week against LOSC Lille and Paços de Ferreira as Neves became the youngest Portuguese player to appear in a European competition since none other than Cristiano Ronaldo. A versatile midfielder, Neves has the tools to become a world beater. The industrious, Mozelos-born youngster is the prototype of the modern day defensive midfielder, with the ability to play both as a lone anchorman and box-to-box midfielder. The former is where ‘young Busquets’ has featured predominately, playing from a deeper position that his defensive work rate and positioning work best. 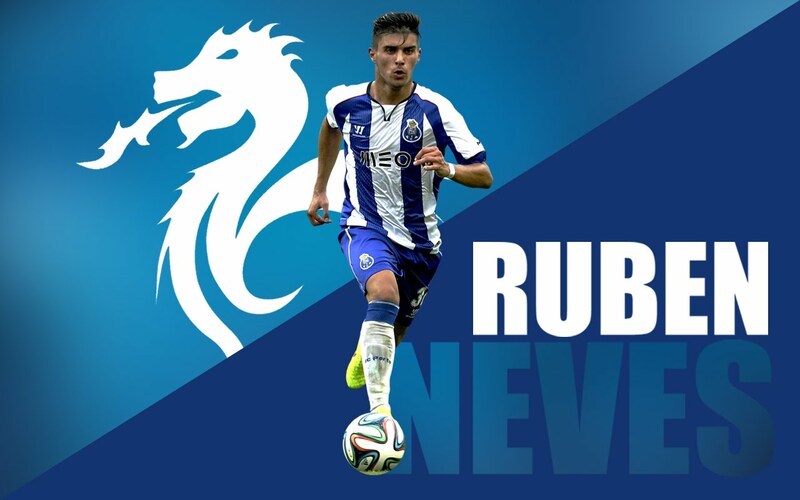 Neves possesses an impressive arsenal of outstanding precision passing, perceptive positioning and vision complimented by maturity beyond his years, allowing him to undertake the first phase of construction as a bally-playing midfield lynchpin, particularly in a possession based outfit like FC Porto. His range and accuracy leaves defenses reeling, with his fierce shots from distance and keen eye for the dead ball troubling keepers aplenty. 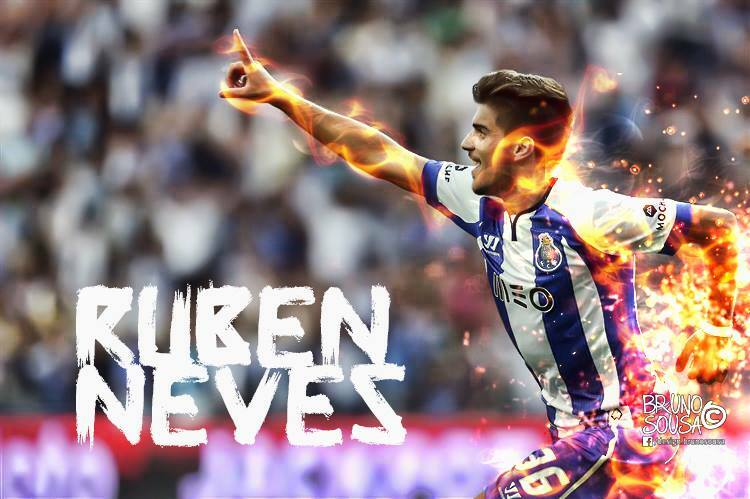 At such a young age; and with Lopetegui’s years of experience at youth level; Neves is in good hands. There’s no reason for Portuguese football fans, and the footballing world alike, to not expect the youngster to hit new heights. Although the likes of Danilo Pereira and Giannelli Imbula will stand as more potent competition, Neves’ tender age of 18 grants him time, with his versatility in midfield yielding more chances in a variety of positions.